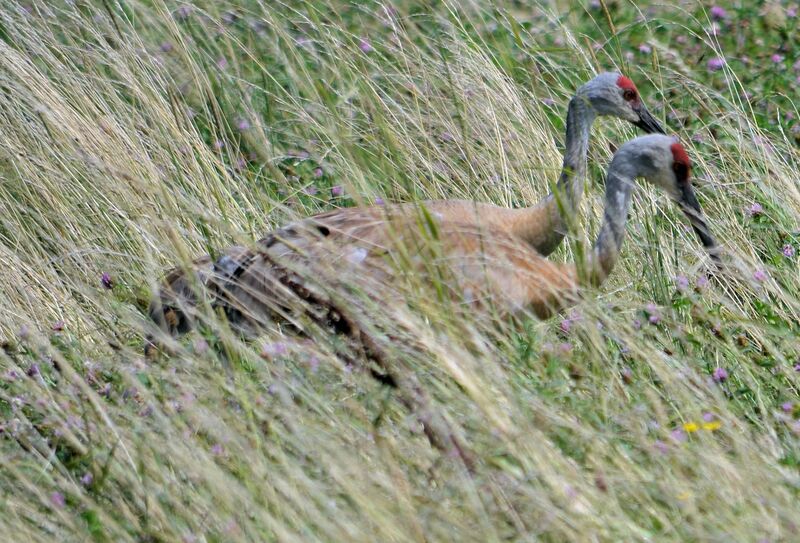 Saw this pair of Sandhill Cranes today in a pasture near Minnetrista, Minnesota. 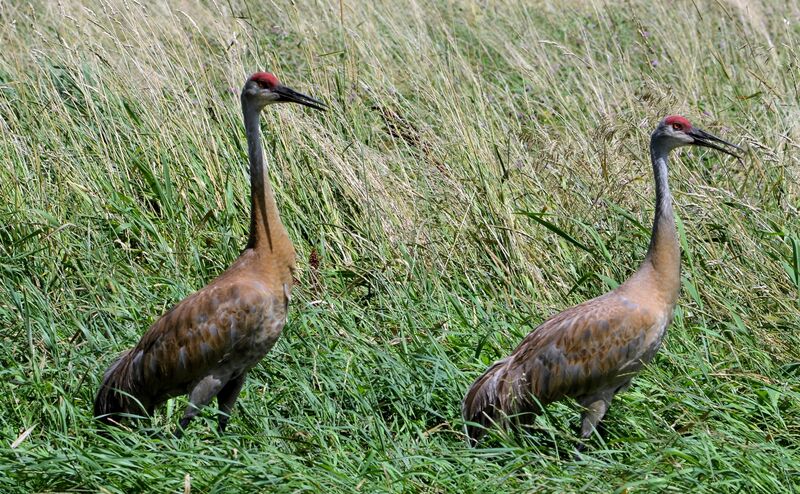 I was able to get within 30 feet of them while in the open. 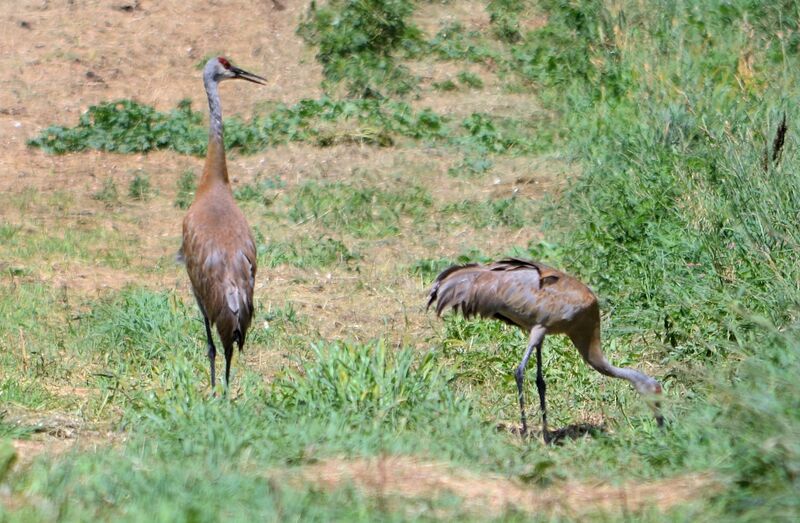 I was hoping they would take off so I could catch them in flight, but they remained perfectly happy to keep hunting food as they strolled away. 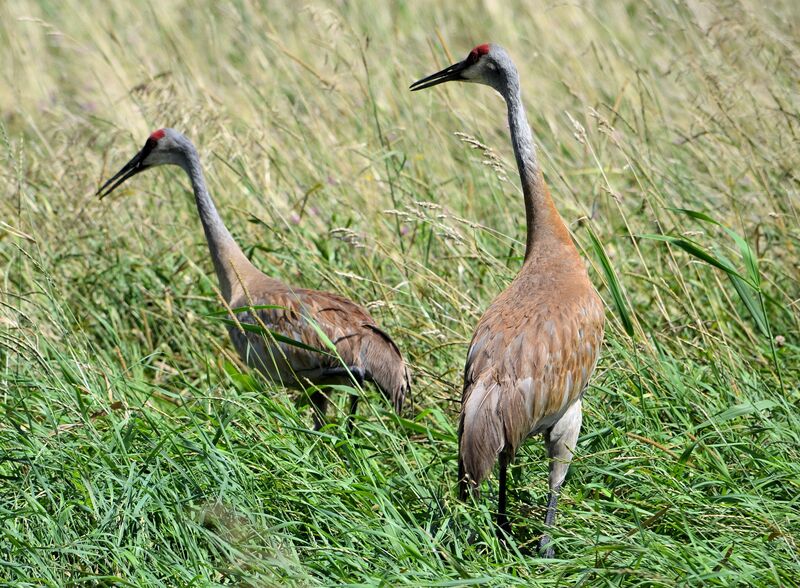 This entry was posted in Photography and tagged Birds, Photography, Sandhill Crane, Wildlife. Bookmark the permalink.